Protect your Big Barker bed from liquid disaster with the Big Barker Headrest Edition Waterproof Bed Liner. 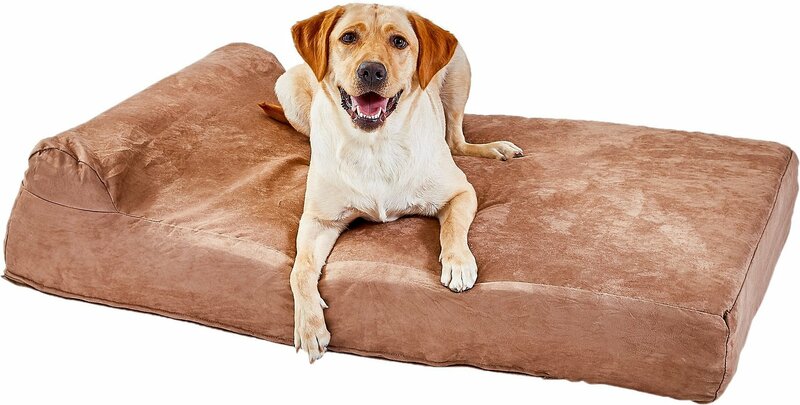 Designed specifically for the Headrest Edition Pillow Top Orthopedic Dog Bed, this liner is 100% impenetrable—meaning no spills, rain, water or accident can get through. It’s especially great for senior dogs and puppies, who sometimes have trouble holding their bladder. The ultra-quiet fabric won’t make a noise when your dog climbs aboard or moves around, and each batch is stress tested to make sure it will keep your top-of-the line Big Barker foam like new. 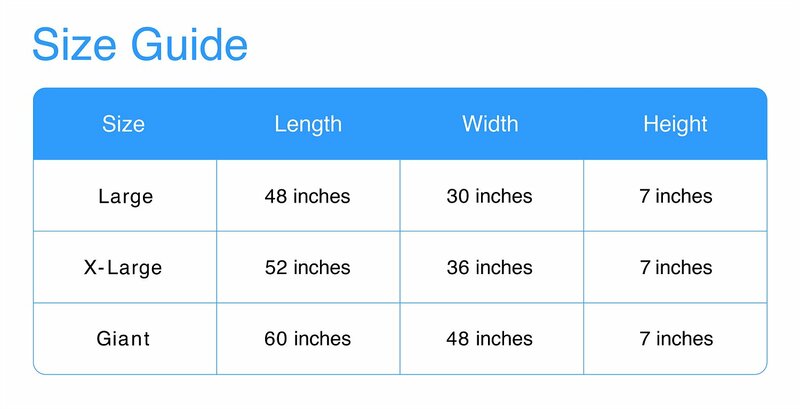 Waterproof bed liner for the Big Barker Headrest Edition Pillow Top Orthopedic Dog Bed. 100% waterproof design means no liquid or moisture will ever penetrate this liner. Each batch is stress tested under extreme condition so it’s guaranteed to keep your foam like new. Ultra-quiet fabric won’t make a noise when your dog gets on the bed or tosses and turns. Made in the USA with the same premium quality fabric found on hospital beds. Made for the Big Barker Headrest Edition Pillow Top Orthopedic Dog Bed. Unzip and remove liner for washing. Liner is machine washable. Great price on this in the Giant size compared to other sites. Good quality. I don't have the headrest version of the Big Barker bed, but this still fit just fine. less than 2 weeks after we got this, our dog's paw ripped a hole in it. Great liner. Does what it’s supposed to do! Love this product for my older dog!! Totally worth it!! Must-have to keep your Big Barker Bed good as new! Jojo (8 years old) and Teddy (10 months old) are our 75 lb Golden Retrievers (yes the 10 month old is already that big!) and they love their Big Barker bed! One of Teddy's puppy friends came over and peed all over the bed :/ Not fun. Plus, Teddy is still not quite completely potty trained and has had a couple accidents on the bed. --BUT thankfully these incidents were no big deal because of this waterproof bed liner! If you have children, an older dog, a younger dog, or if there is any chance any puppies will be visiting your house, GET THIS LINER! Protect your investment in the best dog bed ever. You won't regret it! Expensive but a perfect fit. Well worth it to protect the bed investment if it holds up. I bought this after I have had the bed for a couple months . I figured since my dog is a heavy licker I should be using this to protect the mattress itself under the cover. I was so pleased with it for it made it a lot easier to get the cover on and off when I wanted to wash it! This is a great product to protect your investment. Keep the mattress fresh and clean. Great protection, works to protect the bed without any noise like you would expect from a waterproof cover. Great purchase, one accident no damage to the bed. Very pleased!! I love to purchase not only for a family owned business but also made here in the USA! Let's all support the great USA! Much, much nicer than I expected. Very soft plastic. Much like expensive mattress covers. Made to fit both kinds of beds. Having gone through an elderly dog with incontinence issues definitely worth it.